AKC registered Sprngers from Field Trial champion lines. Fibbs is a 43# muscular, athletic male. He needs just 3 points for his FC, and we expect him to earn that this fall. 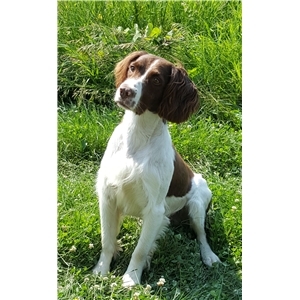 Tilly is a 37# Female who has her Master Hunter title and is a win and 2 points from her AFC title. 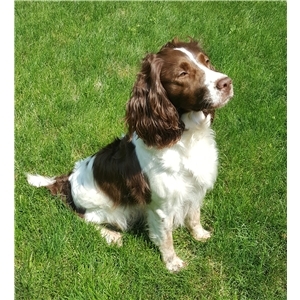 We expect these pups to be fast, and energetic in the field with great nose and marking abilities. Sire and Dam are also very even tempered, work to please the handler, and have great dispositions. Tilly is a house dog when not in the field and she is great in the house. Tails Docked, dew claws removed, wormed and first round of shots before they go home. Pups also come with a 4-year health guarantee. 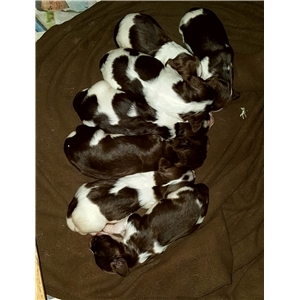 Accepting a $200 deposit to hold pups (3 females spoken for (not picked yet)).